The Way of Yoga – Flowering you Full Potential is a 30-day online yoga course of instruction. Each section of this Way of Yoga Journey will have its own series of posts and pages. Each will have its own sidebar in order to facilitate easy navigation to topics of REAL interest to you. In The Way of Yoga – Flowering YOUR Full Potential you learn a new language. This is the language of the heart. The heart KNOWS in ways that the head cannot. This heart centred language of KNOWING is shared by way of poetry, song, storytelling and practice. This is the language, not of more information, but more transformation. This is the language, not of more communication but of communion. This Way of Yoga is not a journey of belief and knowledge but a journey of experiential KNOWING. Let me share with you a brief overview of how The Way of Yoga free online yoga course will unfold. This overview is presently being written as at early April 2019. The metaphor used for the exploration of The Way of Yoga is that you take a journey up a mountain. So outlined below in brief are the two parts of the course outline that share with you the adventure of climbing the mountain of potential within you. Here is an outline of Part I of The Way of Yoga which covers the first 15 days. Day 01 – What is Yoga? Day 02 – Why Practice Yoga? 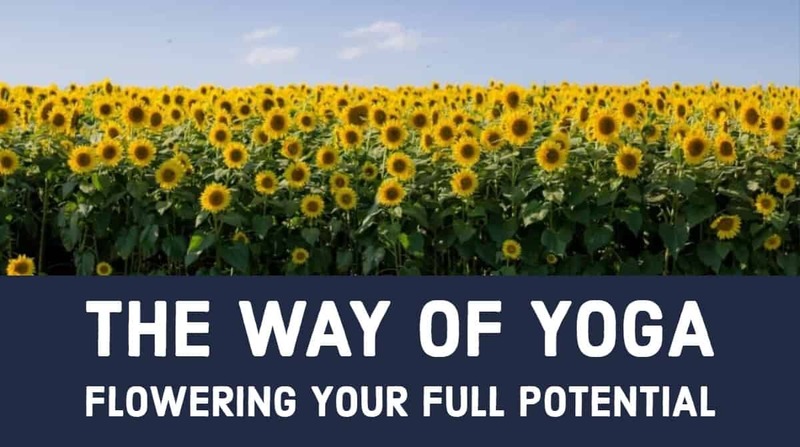 This is an outline of the 1st half of the 30-day free online yoga course entitled The Way of Yoga – Flowering YOUR Full Potential. I teach yoga as a way of life and not simply as a way of exercise. In this 30-Day program of yoga training I will be introducing you to many different styles of yoga (physical approach to postures). More importantly, from an integral point of view, of body, mind, heart and soul I will be sharing the different Paths of Yoga. The Path of Yoga determines the key steps (the practices) that you focus upon. The Paths are related to your personality. Day 18 – Inviting the Higher Levels. Day 20 – Intuition and Knowing. This is an outline of the online yoga training program that I am making available on this website. It is presently being written and posted as at today 4th April 2019. I hope to complete the draft by the end of June 2019. I shall then be adding to it as and when I discover material that I think will be of relevance. The Way of Yoga – Flowering YOUR Full Potential is a journey of assent. It is the journey from the everyday experience of personal separateness into the direct experience of Divine Union. There is another journey which most people are taking in this world of time and space. It is what I call the Journey of Voyage and Return. This is where the individual lives their life and gains no insight into the meaning and purpose of their existence. For many of us we have not been invited into the KNOWING of the magnificence of who we truly are. At best we journey into self-improvement rather than the revelation that cannot be improved upon. This is because it is already whole and holy. It is who you are. This online yoga training course is my attempt to fulfil my wish to show you the astonishing light of your own being. You are created to be this magnificent revelation. This is a magnificence beyond the separate sense of the personal self but that on awakening shines through the personality. You become one of the people who, in Ireland, we call The Shining Ones – The Beautiful People – The Tuatha de Danaan. 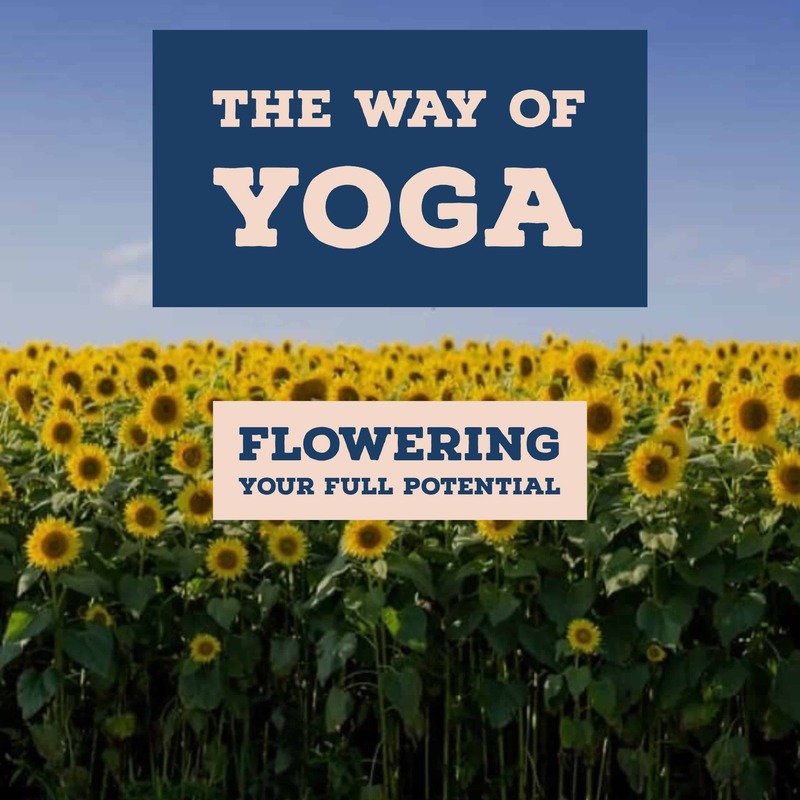 The Way of Yoga – Flowering YOUR Full Potential invites you beyond the idea of personal development. It invites you into a revelation of greatness. You are invited into KNOWING a fullness that then flows through you. You become a flow of the Timeless within time and the Boundless within the boundary of a human body. This is the true experience of healing. You become a revelation of wholeness. Finally the choice, if you have not already made it, is to commit to companioning your Greatness so that the Secret of Secrets can be inside you again. This is a happiness beyond opposites. It is the blessing you already are, always and forever will be. More than this you grant the wish of Creation as it created you to express through you. So complete the form below with your name and email address and start the 30-day free online yoga training program.